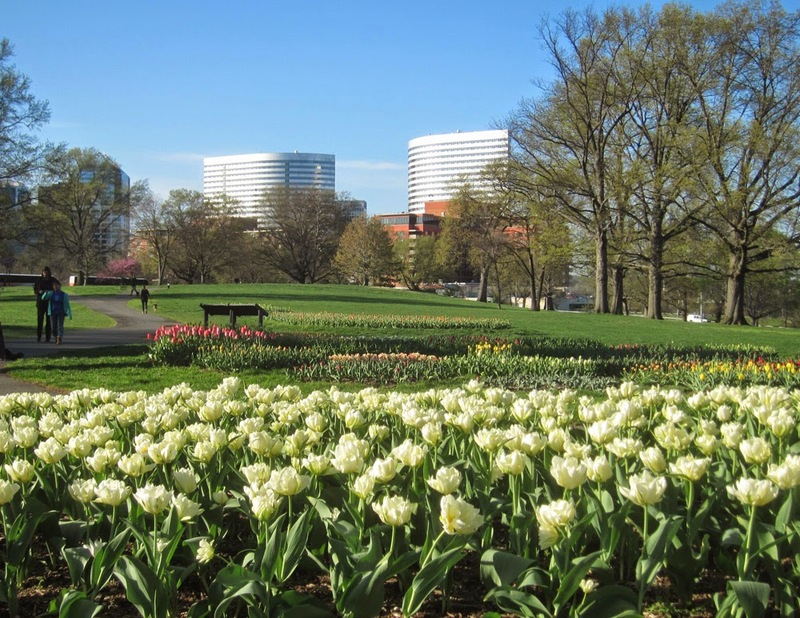 Tulips are now blooming in Rosslyn Vista Park. No place is more beautiful than Rosslyn in springtime. Rosslyn Vista Park and Artisphere are premiere locations for wedding ceremonies and wedding receptions. You can see why for yourself. From visits to each site, it seems like the Rosslyn site has grown since then and is now bigger than the DC site. Nice tie in with the Netherlands Carillon. Tulip bulbs from the Netherlands are hand planted on the site each November. The NPS says the sites contain up to 100 tulip varieties. Andrew, thanks for the informative comment. I've also been to the tulip library by the tidal basin. I agree with you. The Rosslyn site is more impressive.